Specialist Orthodontics at Pearl Dental Clinic, Kingston, London. Orthodontics is a specialist subject within dentistry. This area focuses on treating misaligned teeth, bite issues, and jaw problems. While some dentists can be trained in basic orthodontics a specialist must complete postgraduate study dedicated to learning every aspect of the area. This enables them to treat the most complex cases that need more advanced knowledge and expertise. 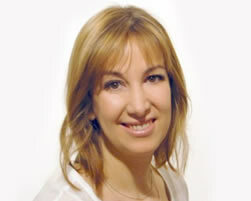 Our Registered Specialist Orthodontist is the skilled Dr. Francesca Pasqualicchio. As well as qualifying in general dentistry, she has also undertaken a Masters degree in Orthodontics and Paedodontics. She has many years experience treating difficult and obscure orthodontic issues. As part of her professional development, she attends national and international postgraduate courses to keep her knowledge up to date. This helps her stay in touch with the latest techniques and materials to ensure our patients get the best treatment possible. Invisalign is a popular treatment for adults and teens. In some cases the treatment is simple, however, for others, the procedure is much more complex. Due to variations in teeth misalignment, treatment needs to be adjusted accordingly to take all these factors into account. As part of the process we make use of our specialist iTero digital scanning technology. This eliminates the need for time-consuming impressions and moulds. Furthermore, Clincheck software allows us to tailor make the treatment to suit individual’s needs. This also allows patients to view their predicted results before treatment starts. Being treated by our specialist orthodontist means that any type of malocclusions and bite issues can be rectified effectively. Our fixed orthodontic options can provide extensive treatment to fix issues in the shortest time possible. Clear or tooth coloured fixtures and wires are available for some of our appliances. Therefore, making them extremely discreet. We offer Damon (As well as low friction self ligating metal braces such as 3M Smart clip Braces), Lingual Braces (Incognito and Win), fast orthodontics, aligners, and retainers. Due to the complex nature of orthodontics, we understand that finances could be an issue. Therefore, we offer a range of 0% dental finance plans to help our patients spread the cost in a manageable way. Taking out a plan over a period that suits you ensures that you get the treatment you need, interest-free. Also with Invisalign with offer a ‘pay as you go’ service. This allows patients to pay for treatment as and when they receive it rather than in a lump sum. 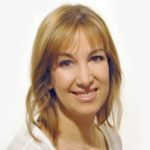 Dr. Francesca Pasqualicchio accepts specialist referrals from dentists working at Pearl Dental Clinic and also from dentists working in other practices for Specialist Orthodontic procedures. Patients can book-in directly for a consultation with Francesca by calling the practice or booking online. Pearl Dental Clinic is open 7 days a week from 9am to 10pm. You can book an appointment by calling us on 0208 547 9997 or emailing us or by booking an appointment online (24 hours).